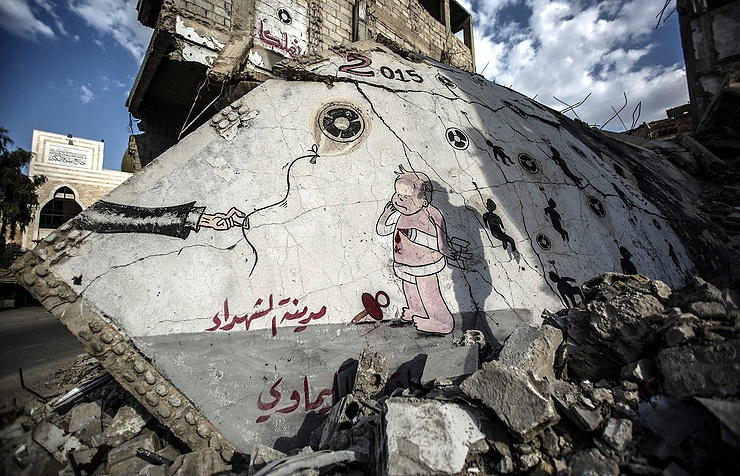 BEIRUT, April 27. /TASS/. 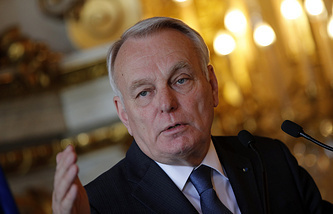 The Syrian Foreign Ministry has condemned remarks by French top diplomat Jean-Marc Ayrault about the alleged use of sarin gas in the Idlib province by the government forces. The ministry said in a statement released by the SANA news agency on Thursday that "fabricated allegations launched by French Foreign Minister Jean-Marc Ayrault" were part of the "campaign of misleading and lies" against Damascus. According to the Syrian Foreign Ministry, these allegations show "without any doubt the involvement of France in preparing this crime in the framework of its full partnership in the aggression on Syria." On Wednesday, French Foreign Minister Jean-Marc Ayrault said that the samples obtained by the French intelligence services prove that sarin nerve gas had been used in Khan Sheikhoun (Idlib province). He blamed the forces loyal to Syrian President Bashar al-Assad for the alleged chemical attack. The alleged chemical incident in Khan Sheikhoun (Idlib province) occurred on April 4. According to the Russian Defense Ministry, on April 4, the Syrian air force delivered airstrikes on several militant facilities where munitions filled with poisonous substances were made. However, Washington accused Damascus of using chemical weapons in the area, after which the US carried out a missile strike on a Syrian military airfield in the Homs province on April 7.